Basically, I put this poster together in the hope that it might appeal to 3 tenors, as all other spaces at next Monday’s PDtP Christmas Special Continue reading How about this for a niche marketing strategy? Posted on November 29, 2017 1 Comment on How about this for a niche marketing strategy? That’s what you get when you do two singing & boozing sessions almost back to back. But the pain was worth it! On Sunday, we put on our very first PDtP session in Cardiff, and to say it was a success would be an understatement and a half. About 25 local singers turned up, and from the first Bach chorale to the final Byrd motet, the singing was wonderful, with real communication between everyone. We even managed to stick in a double-choir motet, which proved to be no problem for these guys. I have to add that not only did the Cardiff bunch have such fine voices, they were extremely kind in extending a warm welcome to me, so much so that I felt at home right from the start. #pdtpcardiff Lovely singing – excellent conducting! We even had a bona fide audience for the occasion: three visitors from Chicago, Illinois had been googling for a choral concert in Cardiff and stumbled across us! They were very gracious in their praise and it was something of a treat to have a small round of applause after each motet. We’ll definitely organise another session before long so keep an eye out for updates both here, and on Facebook and Twitter. @PubPolyphony many thanks for the Cardiff session. Excellent. Come again! @PubPolyphony Better than us in London? How can that possibly be?? @PubPolyphony we've got better nacho technique? So, with only a day to nurse the sore head, on Tuesday it was back to the melee of melody and mirth that is Counterpint in the Cafe. It was another superb evening of more intimate singing, with some fine moments of music-making. It was also lovely to see some new faces there and I hope we’ll see you at future sessions. And then, the following Monday, October 17th, we have the big event itself: our 2nd Birthday Party, during which we’ll be having even more of a knees-up than usual! We’ll be singing the very best material from the previous 12 months, and, even better, you’ll get to choose the set-list yourselves, once I’ve figured out how to put together a poll-type thing. Again, booking will go live in two stages (following the 24 hour sell-out of PDtP 23), with the first release at 9am this Saturday, October 1st and the second batch being released at 5pm on Friday, October 7th (links to follow). That way, if you miss out on a space, you still have a chance to go for #CafeCounterpint. 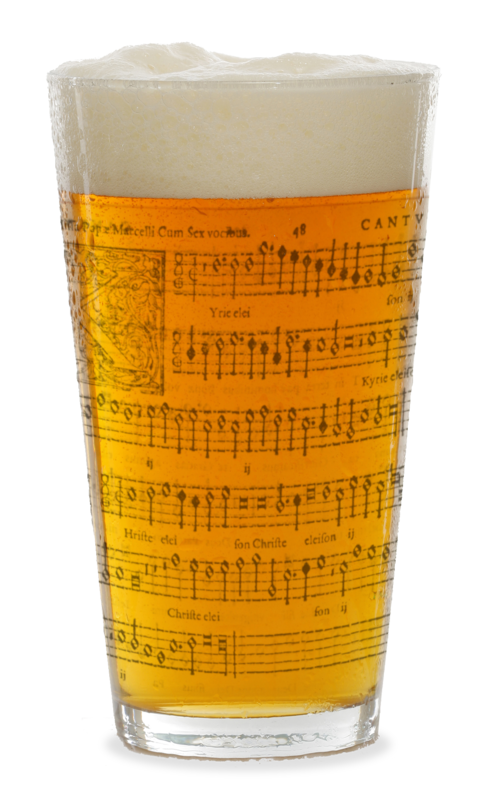 As well as all of the above, I’m going to see if we can set up another Counterpint in Kingston, so as you can see, there’ll be plenty of opportunities for you all to get into the singing and drinking vibe during October. In the meantime, thanks again to you all for turning up each time and making it all such fun, and please continue to spread the word about us on social media. In a week’s time we’ll be blasting the roof off the Horse & Stables with our double choir special. I’m pretty excited about it, not least because there’s a wealth of great material to draw on – so much so that we have enough numbers on the shortlist for 2 or 3 sessions at least. The sheet music will be ready in the next couple of days so keep an eye out for updates. At last month’s PDtP, we were joined by Michael from the London Motet & Madrigal Club. Like PDtP, they are a non-performing group who get together for the pure love of singing rather than performing, though I understand that they finesse their run-throughs a little bit more than we do, which no doubt appeals to some of you perfectionists. They are always looking for new members so drop them a line via the link above or their Facebook page if you’re interested. Also, on March 12th, Zêzerearts are giving a choral workshop in East Grinstead, with a nice line-up of repertoire, and are still looking for singers to join them – if you’re a confident tenor, you may even get a space for free. Great those these works are, if you’re looking for concerts of perhaps slightly lesser known works then the Borough Chamber Choir (some of whom are PDtP regulars) are performing a great programme this coming Saturday, March 5th, including Macmillan, Mozart and Bach. Also, on March 15th, youthful singing group Amici Voices are presenting a concert of early Bach cantatas. They perform one voice per part and have a pretty stunning backing band, made up of some of the UK’s finest early music instrumentalists. The concert is in Harpenden but if it’s anything like the Christmas Oratorio that I heard last December then it’s well worth the effort of getting out there. And finally, early music group Capilla Cayrasco are making a CD of music by Ockeghem and PDtP favourite Josquin Desprez and they’re looking for funding assistance for the project. Depending on the amount offered, donors can expect anything from a thank you card through to a credit in the CD booklet and even a conducting lesson from the group’s director; details can be found via the above link.